The richness of fine wood and the precision of fine Amish furniture are embodied here in our Amish 36" Square Farm Table. 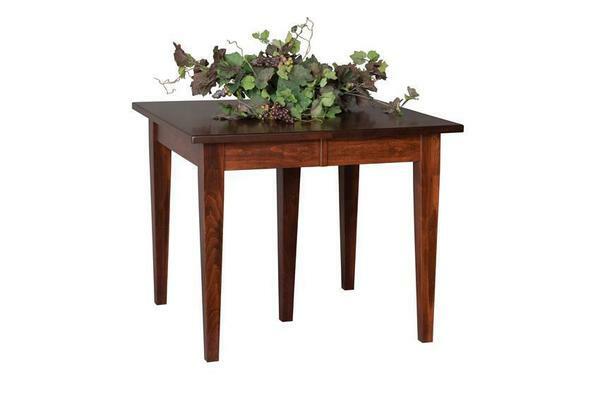 A perfectly handcrafted square table top is supported by slender, tapered legs. Dimensions: 36" x 36" & 36" x 42"
Enjoy cozy dinners, game nights, and weekday dinners at our 36" Square Farm Table or adjust the table for larger parties with our extension options. Visit our blog for ideas on dining room styles!